FlowPlumb Systems™ Pushfit barrier pipe is manufactured in the UK from Polybutelyne (PB). 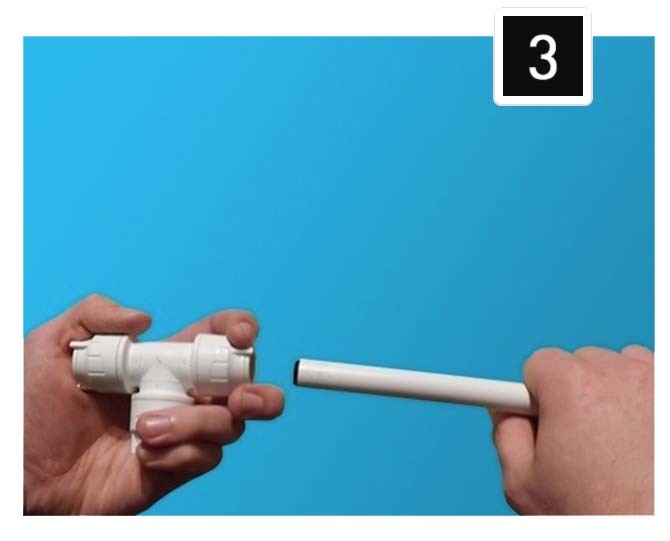 This makes the pipe flexible enough to feed through buildings without the need for expensive fittings like elbows and joints. 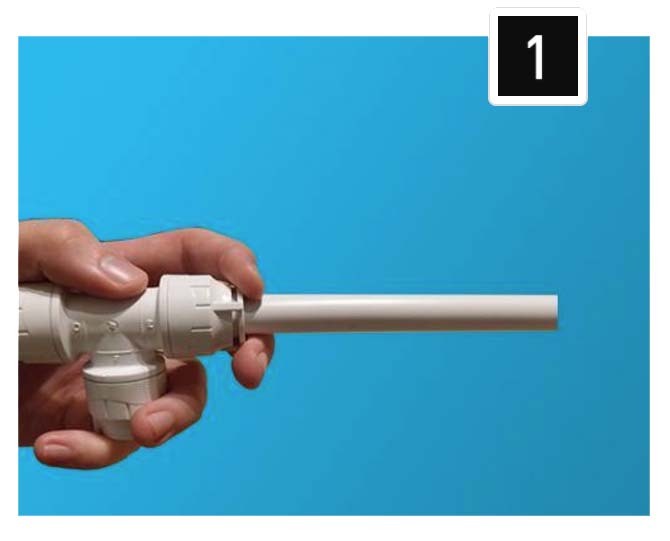 This pipe is supplied in coils, so you can easily install a Pushfit system using just ONE fitting at the start of the pipe and ONE at the end where it attaches to a tap. However, if more complex solutions are required, a whole range of fittings are available. 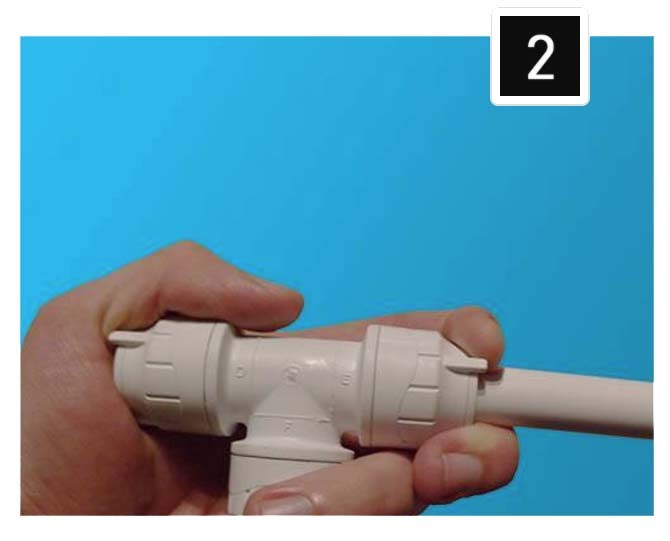 FlowPlumb Systems™ fittings simply push onto the pipe. The FlowPlumb™ manifold system provides a central control point for water distributing (much like simple electrical circuits), so that services can be isolated for essential maintenance such as changing a tap. 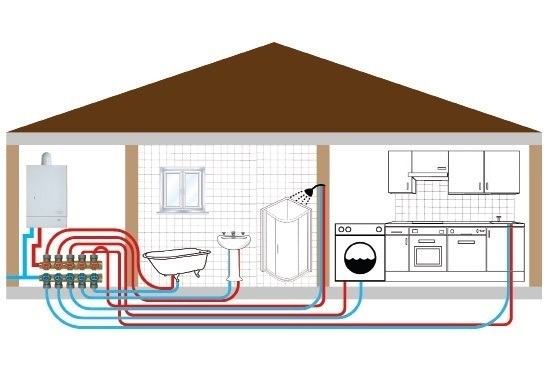 With this system, a single pipe is fed into the manifold, and then secondary pipes are taken out of the ports to feed each appliance, e.g. basin, bath or shower. This allows water to one appliance to be closed off, while the other appliances remain serviced. Manifolds can be used in any combination, but are particularly recommended for homes, appartments and hotels where continued water supply is essential.